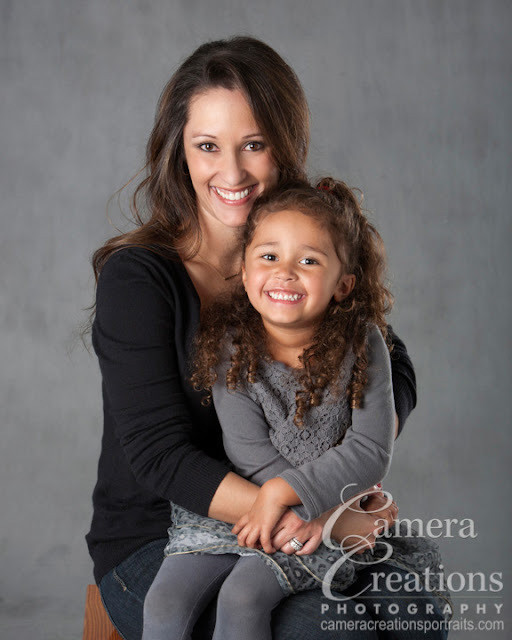 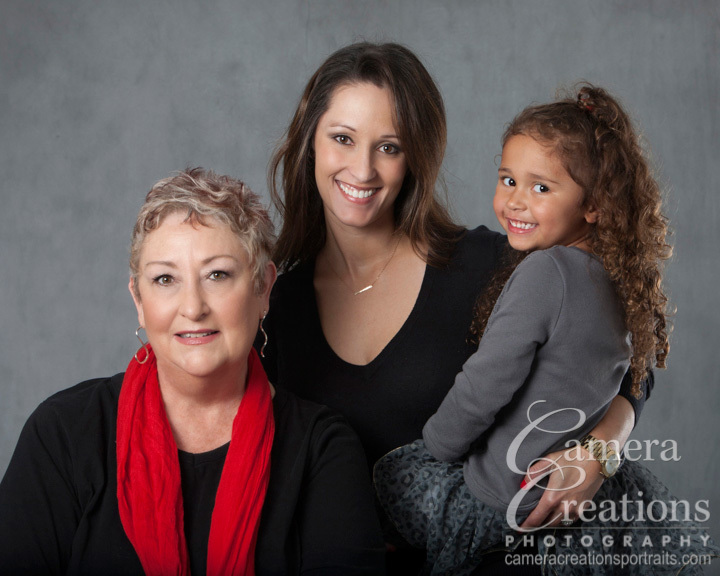 Getting to see families grow and form new bonds is part of the pleasure of being a family portrait photographer. 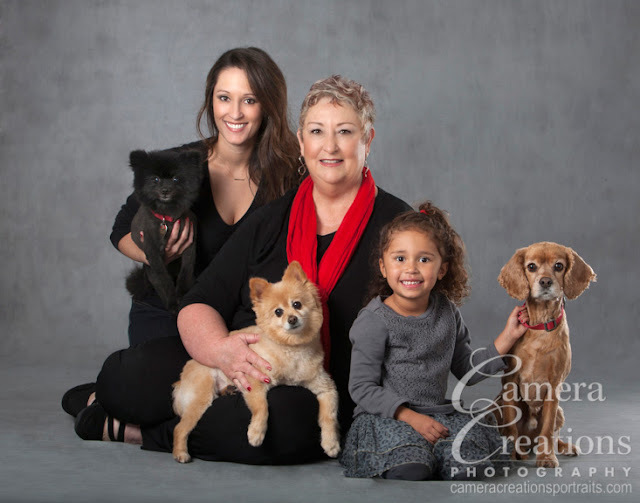 DeAnn Singh, a professional calligrapher hired by the film industry for her calligraphic talents, wanted to have three generations of her family and their pets memorialized in photographic artwork. 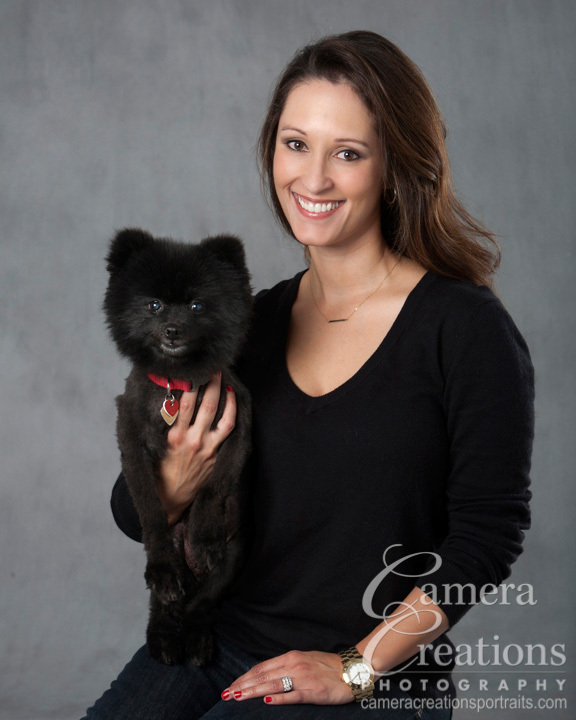 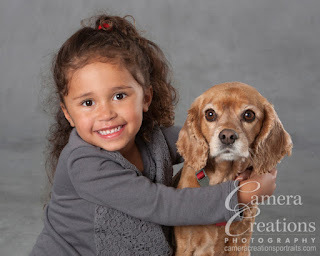 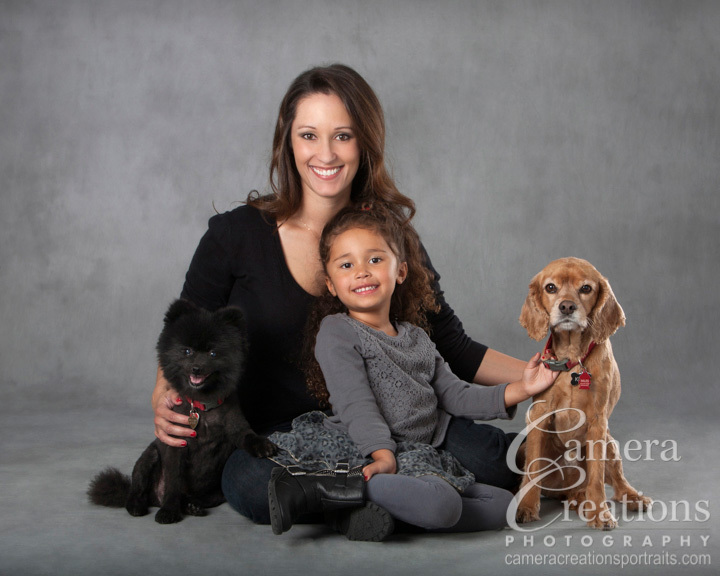 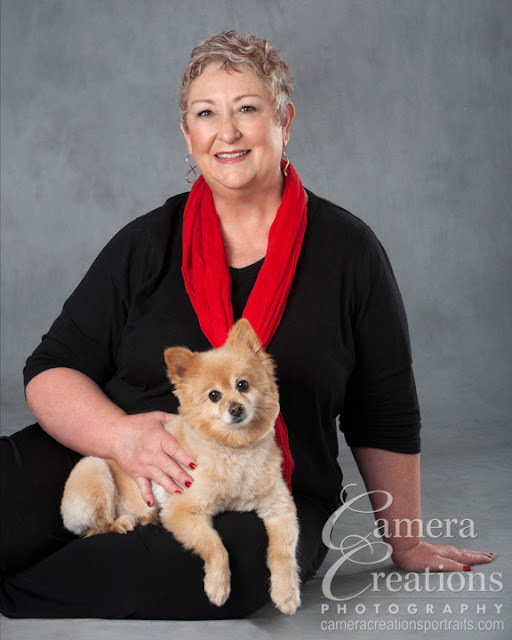 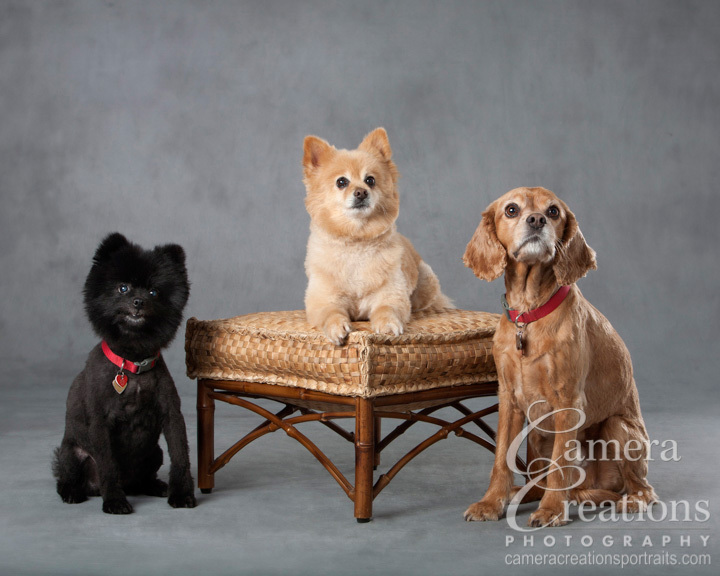 We had fun at Camera Creations' studio photographing the three generations of family ladies (DeAnn, her daughter Hailey and granddaughter Ayla) along with the pups Miles, Rooney, and Koa-Tan. After the photography session we scheduled an in studio viewing session so that DeAnn could see the images close up, projected on a large screen, and get some advice on framing and how to display the family and pet photographic artwork.